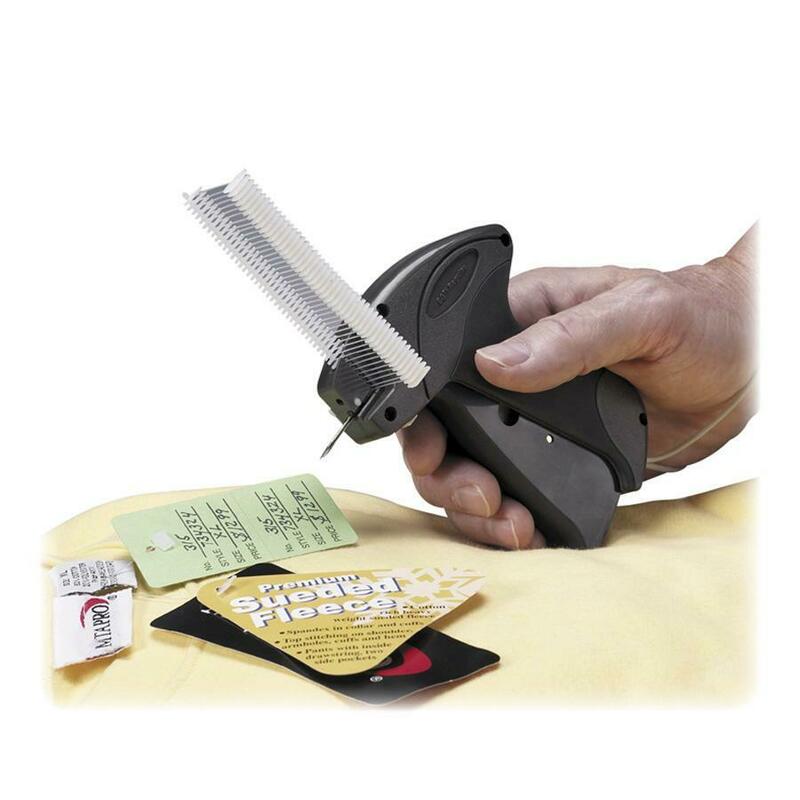 Tag Attacher Kit features a unique design. Revolutionary soft, nonslip cushion comfort grip is ideal for quick, convenient tagging of apparel and soft goods. 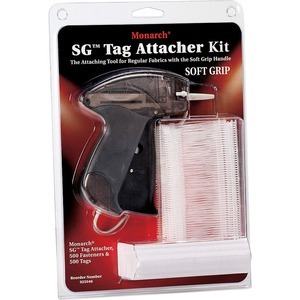 Kit includes a model 3020 lightweight pistol-gripped tag attacher, 500 Tagger Tail fasteners and 500 standard white tags.